We’d love your help. Let us know what’s wrong with this preview of Mujerista Theology by Ada María Isasi-Díaz. To ask other readers questions about Mujerista Theology, please sign up. 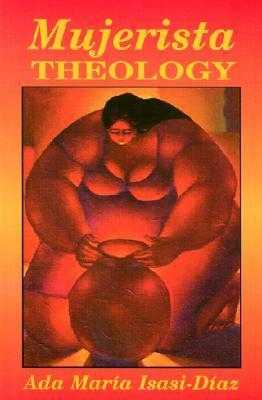 A succinct introduction to the practices, values, and liturgies of mujerista theology. A doorway into imagining a church and society that actually practices mutuality and love. Ada Maria Isasi-Diaz has in Mujerista Theology written a book that raises important questions which society and especially the church need to grapple. There will be no easy solutions and the direction that she points requires substantial and needed alterations in the way we do humanity and Christianity. For this I am grateful. However, Isasi-Diaz has not written a theology regardless of the title's claim. Her "theology" starts with Latinas and any theology must begin with God. She has either writ Ada Maria Isasi-Diaz has in Mujerista Theology written a book that raises important questions which society and especially the church need to grapple. There will be no easy solutions and the direction that she points requires substantial and needed alterations in the way we do humanity and Christianity. For this I am grateful. However, Isasi-Diaz has not written a theology regardless of the title's claim. Her "theology" starts with Latinas and any theology must begin with God. She has either written a mujerista anthropology or a theology of human divenisation (and not in the way the eastern church means this). The philosophy of this book is thoroughly humanistic. The book states that the Bible, the only reliable source for Christian theology, is only authoritative as it meets Latinas' needs for liberation. Maybe, the author should review her views of what is needed and subject that to the biblical text. Assigned for a feminist theology class, worth the re-read.